Woefield Farm is a sprawling thirty acres of scrub land, complete with dilapidated buildings and one half-sheared, lonely sheep named Bertie. It’s “run”—in the loosest possible sense of the word—by Prudence Burns, an energetic, well-intentioned twenty-something New Yorker full of back-to- the-land ideals, but without an iota of related skills or experience. 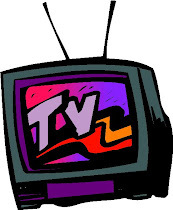 Prudence, who inherited the farm from her uncle, soon discovers that the bank is about to foreclose on Woefield Farm, which means that Prudence has to turn things around, fast. But fear not! She’ll be assisted by Earl, a spry seventy-something, banjo-playing foreman with a distrust of newfangled ideas and a substantial family secret; Seth, the alcoholic, celebrity-blogging boy-next-door, who hasn’t left the house since a scandal with his high-school drama teacher; and Sara Spratt, a highly organized eleven-year-old looking for a home for her prizewinning chickens, including one particularly randy fellow soon to be christened Alec Baldwin. 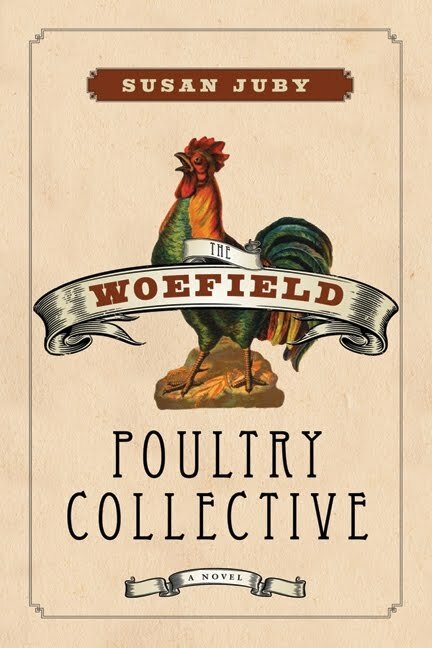 Full of offbeat charm and characters you won’t soon forget, The Woefield Poultry Collective is a heartwarming novel about learning how to take on a challenge, facing your fears, and finding friendship in the most unlikely of places. With alternating narratives, Susan Juby shows how a team of misfits can find acceptance and success, even with—and sometimes in spite of—their highly unorthodox approach. Back in 2008 I received a boxed set of ARCs from Harpercollins. I had requested Jolted by Arthur Slade, but they sent a few other books along with it. I read and loved Jolted, so then I knew I had to see what other treasures were included. One of the books was Getting the Girl by Susan Juby. I even said in my review that I was surprised to like the book because back then I was just starting to accept that I might like young adult books. I always wasn't sure about the description, but Juby wrote a great book and really surprised me. I have always meant to read something else by her, but have accomplished it yet. Getting the Girl reminded me of what it was like to be in high school, but Juby did it with humour and the necessary seriousness. Fast forward to 2011. Harper Collins Canada sends me an email asking if I want to be included in a blog tour for The Woefield Poultry Collective. This time it is an adult novel. Her first one, actually. It was like a return to 2008. The book arrived in the mail and I really looked at the cover. I was not impressed. Then, I opened to the first couple chapters and was really starting to think that this is not the book for me. I was wrong. Once again Juby won me over and I wound up enjoying the book. It has a great cast of characters, she writes with tongue-in-cheek humour, and it was basically a book about dreams. There were a lot of moments in this book that while the circumstances were different, I could relate to the overall feelings of the book. The book chapters flip around so that different people are telling the story. That can be bothersome, but I think Juby pulled it off well. She also meets my pet peeve requirements. It really bothers me when young adult authors write adult books, but they are really not that different in writing. This book was more mature and written for an 'older' audience, so she passed the test that I was most worried about. Overall, a good book. 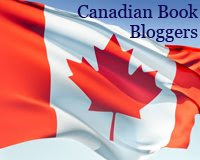 Thanks to Harper Collins Canada for including me in this tour! I have this for a book tour too- the US version: Home to Woefield. Why do they change the titles like that? It's confusing. Anyway, I'm glad you liked it. I'm looking forward to reading it. I've never heard of this author but I'm glad that she made the transition for you and came through with another good read! I'm not familiar with the author, either, but your review of the book catches my attention. I'll keep my eyes open for a copy. *Chris: Yeah, that's weird. Hope you enjoy it! *Staci: She's a fun author! *Jen: Hope you get a chance to read her! I finished it tonight and enjoyed it.